I’m leaving the bitters giveaway drawing open until the end of the week so get your comments in if you want one of the very first bottles of Nobler Experiment Orange Bitters. For those of you somewhat unfamiliar to the world of bitters, you’ve probably seen this iconic bottle (picture below) sitting at almost every bar you frequent and somewhat more bizarrely next to the strawberry daiquiri mix on an end-cap in every supermarket. But as I’ve mentioned before, the availability of uniquely flavored bitters for sale, and even more uniquely flavored bitters in restaurants and bars (pepperoni bitters? really?) has absolutely skyrocketed. So, what the hell are bitters in the first place? Maybe a more interesting question: where did bitters originate? 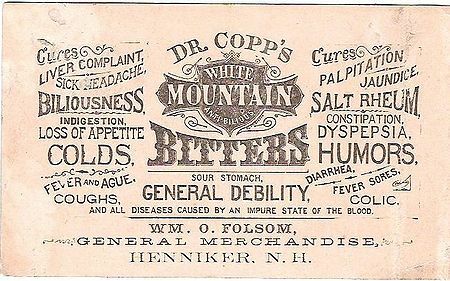 While modern medicine is great and all, there is something pretty fantastic about a bunch of folks mixing up concoctions and selling them as cure-alls long before Advil and Pepto were in everybody’s medicine cabinets. Herbs and roots were observed to have certain effects as “cures” throughout human history and once distillation became more understood, it was a seemingly natural transition to “bottle” those perceived effects. By infusing the alcoholic distillate with these same herbal essences (mainly cascarilla, quassia, gentian, orange, and quinine) the original apothecaries could create symptom base remedies for the local communities. But it was in 1824, when a German Physician, Dr. Johann Gottlieb Benjamin Siegert, fighting alongside Simon Bolivar in Venezuela, took these local cures to a whole new level. 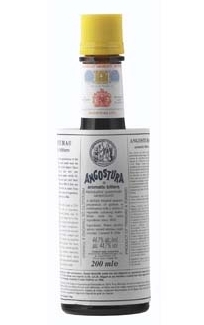 His now famous Angostura Bitters, named after the town they originated in, was intended to limit and reduce the effects of sea-sickness. Almost 200 years later, one of my first experiences with Angostura helped prove that Siegert wasn’t simply selling voodoo. Working in a restaurant, your daily caloric intake consists of coffee, crap, more coffee, alcohol, and probably cheese. We always had so much cheese! And that, my friends, is not a recipe for stomach comfort. But with a little seltzer splashed with Angostura (okay, and maybe some more coffee) it was always easy to rally. Good work Doctor! So that takes care of Angostura, but you better not try to give your friend from Louisiana a bottle of these and call them bitters. Because in Nawlins, there is only brand of bitters you should be putting in your Sazerac and that’s Peychaud’s. Created in 1830 by a Creole apothecary, these bitters are similar in ingredient list to Angostura but are a bit lighter and sweeter as a final product. And if you haven’t had a true Sazerac, you should probably stop reading this and go find one. 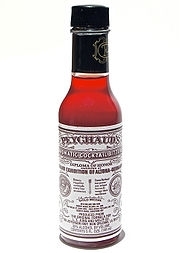 For this reason, Peychaud’s often gets credited for the bitters transition to cocktail contributor from simple cure-all. So why all the crazy new flavors and countless available commercial brands in the last few years. What the hell have we been doing for 2 centuries? Well, once again, we can chalk this up to the most recent cocktail craze. Bitters, as a flavoring agent are a tremendous tool for adding strong and/or nuance flavors into a drink without large volumes or dilutions. If you are looking for a few options to add to your liquor collection (besides my orange bitters of course), I’d say definitely start with a bottle of lemon and a bottle of celery. You’ll find yourself adding these two to everything. You’ll even love a few splashes in an ice-cold seltzer. I know, I know, there isn’t booze in seltzer. But sometimes even the Noblers need to hydrate!